CLOSEOUTS. 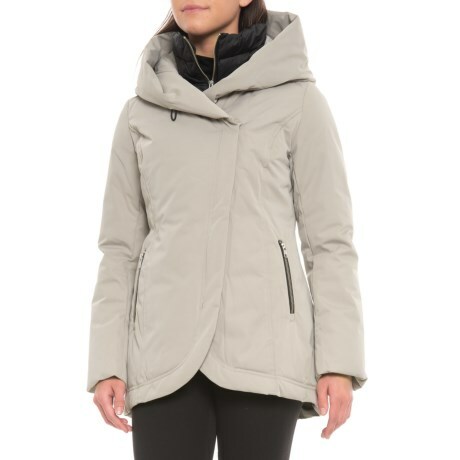 An asymmetrical zip front, toasty down insulation and wind-blocking inner bib ensure Sandovaand#39;s Edela down jacket delivers pure warmth and comfort in frigid temps. Available Colors: BLACK, ASH. Sizes: XS, S, M, L.